Environmental Quality Laboratories, Inc. (Eqlab) was incorporated in June 1982, under the laws of the Commonwealth of Puerto Rico as a full‐service environmental testing organization. 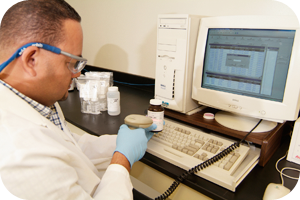 Our offices and laboratory facilities are located at 60 E Street Minillas Industrial Park, Bayamon Puerto Rico 00959. The effective solution of any environmental problem is the result of sound engineering and scientific study programs. Fundamental to a successful program is the need of accurate and reliable technical data. Eqlab is committed to provide such data under close control of time, quality assurance, and cost‐effectiveness. To be an integral element in the effective solution of any environmental problem by providing high quality reliable analytical test results. To provide our clients with high quality laboratory services during the development and implementation of their environmental conservation and control programs. To read this files you'll need Adobe Acrobat Reader.